We have recently started work for Wrexham County completing full electrical and solar installations on new build homes. The solar PV systems are roof integrated, as opposed to a roof mounted system that you would commonly find on a retrofit installation. 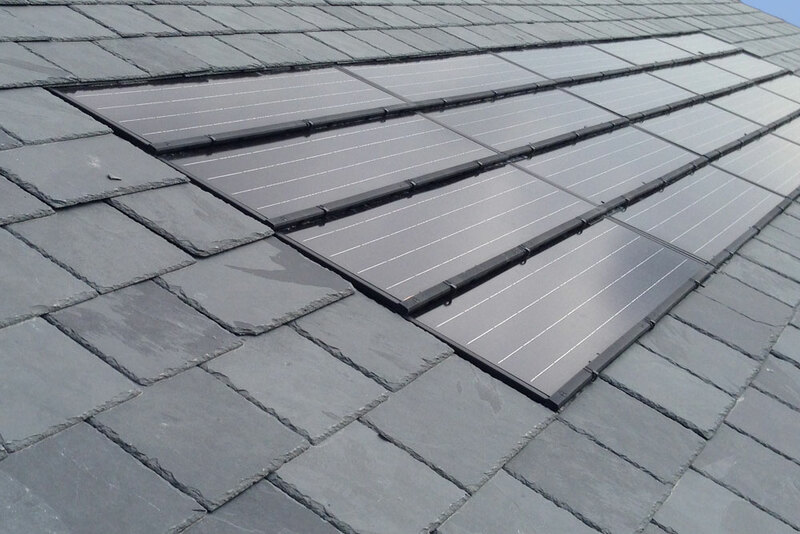 The roof integrated panels fit seamlessly in with the roof tiles, giving the system an aesthetically pleasing look. The panels have to be fitted correctly to ensure that they are water tight, resistant to wind lift, and comply with the latest building regulations. In addition to the PV installations, we are completing all of the electrical wiring for these new build properties. We are working across a variety of 23 flats and houses, ranging from 1 bedroom to 4 bedroom properties.